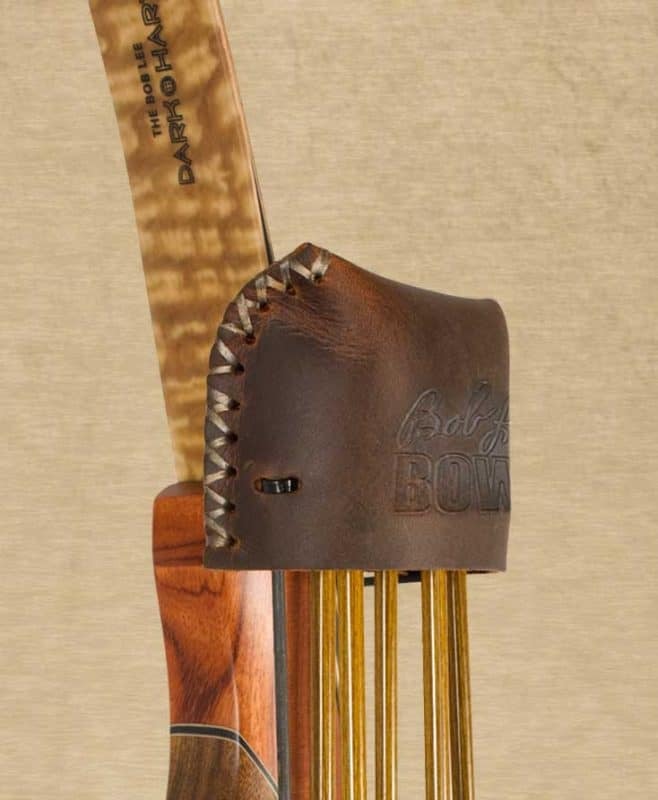 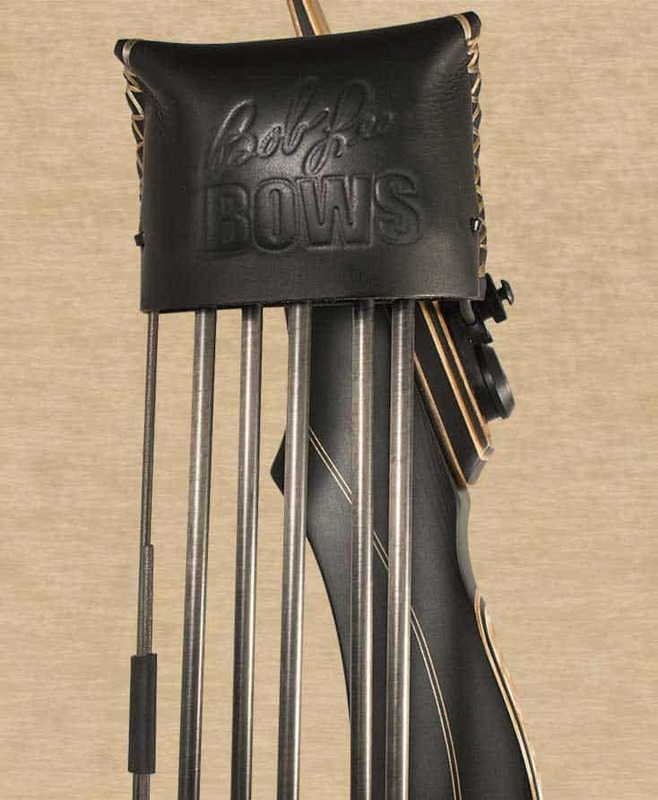 This quiver mounts on our Bolt-Up and Stabi-Lock™ models without inserts or modifications and is a great complement to your Bob Lee takedown recurve or longbow. 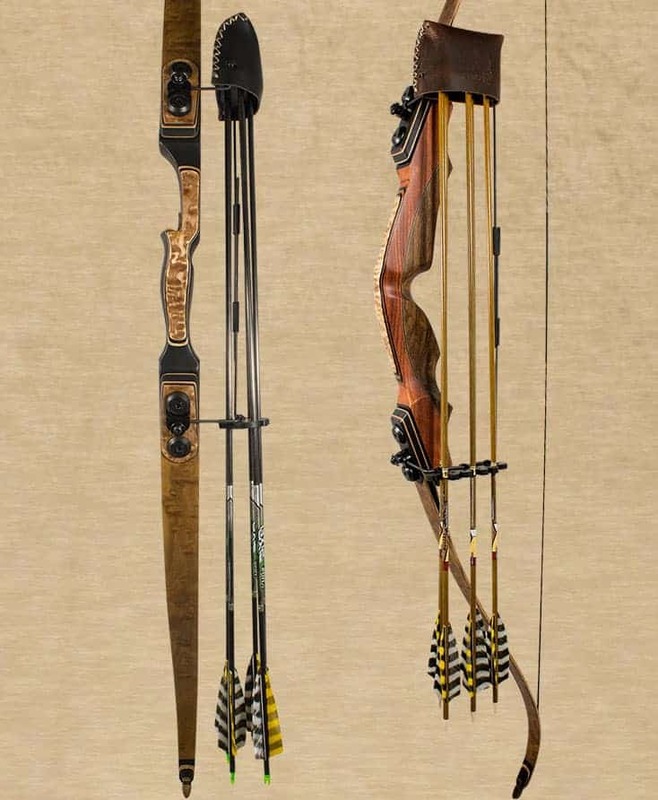 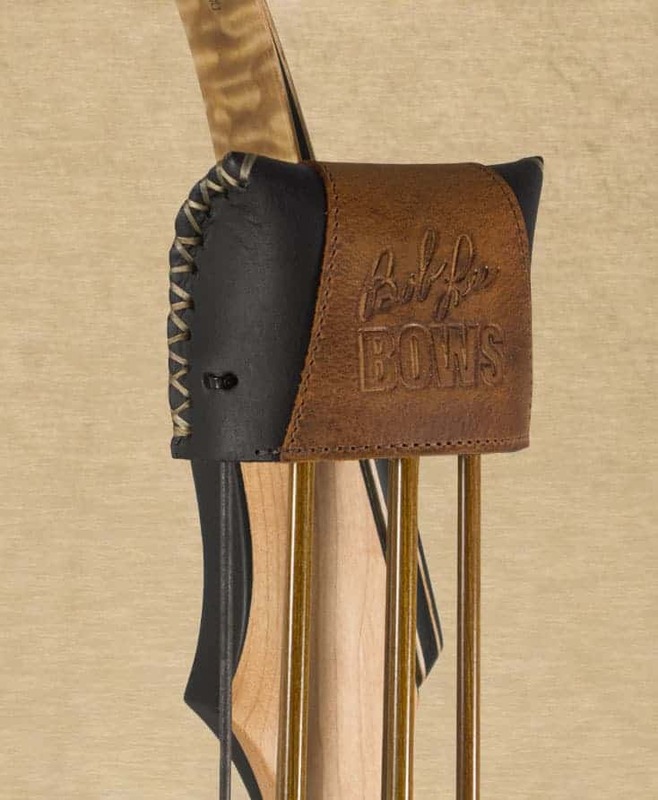 It is lightweight (weighing only a few ounces, fully loaded), holds 5 arrows securely and can be instantly installed or removed without unstringing your bow and without removing arrows from the quiver. 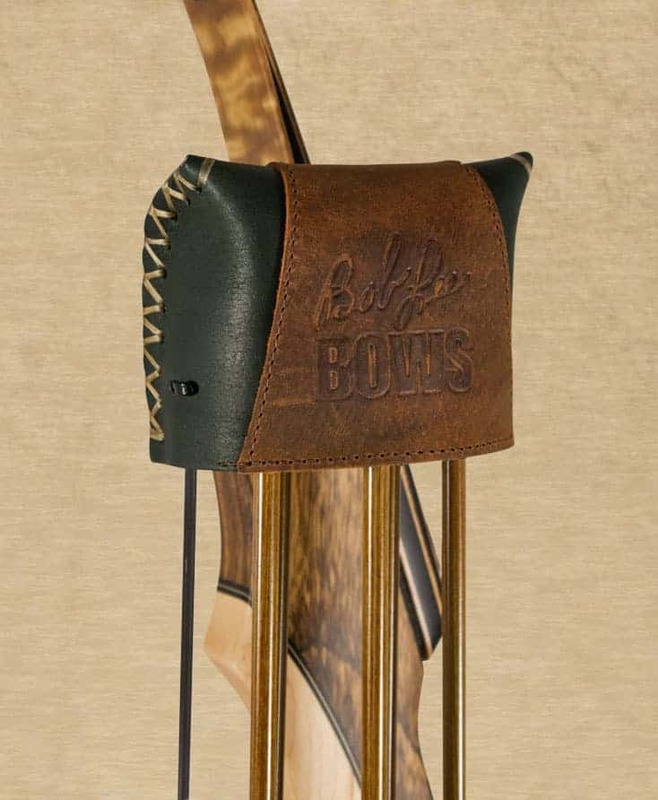 Black Leather, Brown Water Buffalo Green or Black Leather with Brown Water Buffalo Overlay (scroll through at left for photos). 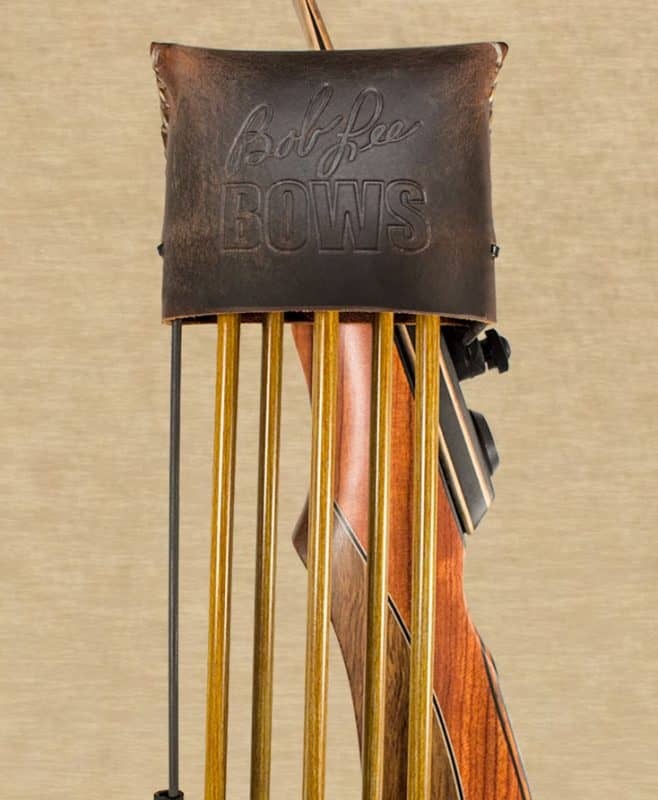 A pair of quiver bolts (longer than the standard bolts shipped with our bows) is required for installing, and are included with your quiver order, as well as a mount adapter needed with your Bob Lee Bow. 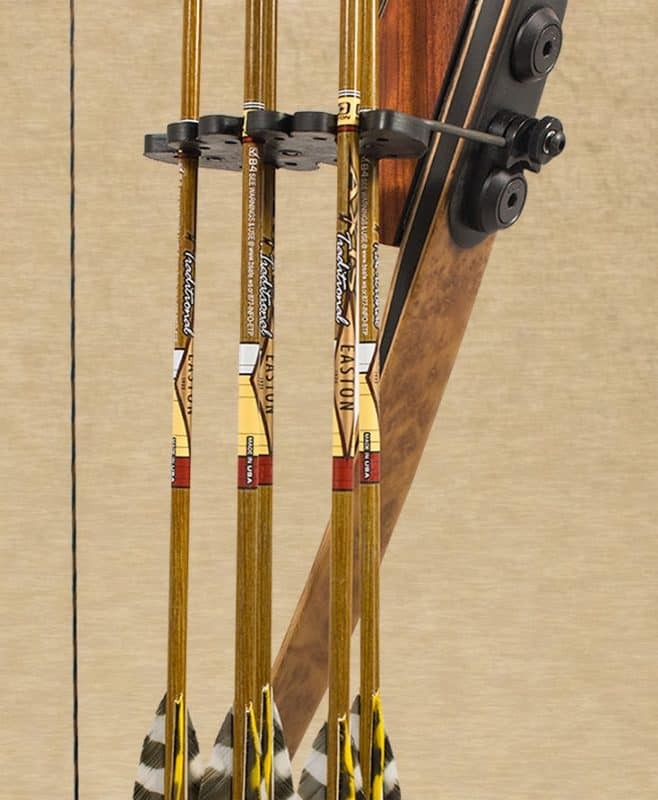 For instructions on how to install, view our Quiver Video.